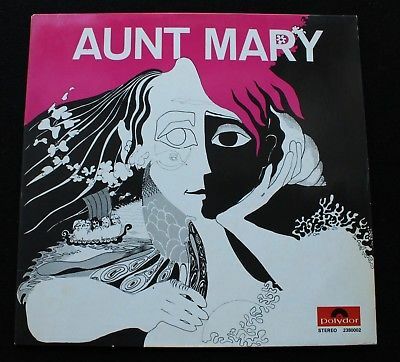 AUNT MARY: s/t, Germany Polydor 1970 1st pressing. This is the extremely German first pressing with the laminated cover in stunning condtion. By far the best copy I have ever seen. DISC is 'as new' MINT(-). COVER is superb MINT-, see pics. Comes with the original plastic inner. Good luck bidding!! You will save shipping cost on Multiple items,of course.Wait for invoice and you'll see the combined shipping price. You will NEVER pay more than my actual cost. Special german-made cruciform-mailers designed for multiple LPs are used, even for single LP packages. The boxes are oversized and thus provide extra corner protection as well as great stiffness to the package. Addtional protection may also be used when found nessesary, such asstiffeners, bubble-wrap, extra corner-protection. I do not charge anything forpacking materials. All items are garuanteed–in case of any dissatisfaction, contact me, and we'll sort it out. All items are refundable if returned in the same condition as recieved.